Choose Anglian for your fire door projects. FIRAS certified installations. 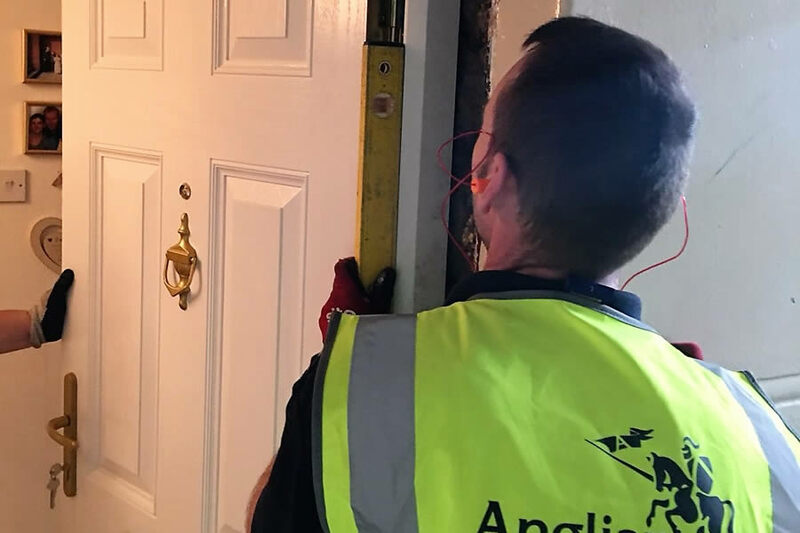 Fire doors are a critical element of passive fire protection used to provide compartmentation, so care should be taken both in specification and installation. BS 8214:2016 gives recommendations for the specification, installation and maintenance of timber-based fire doors. Fire ratings must be selected based on the site situation, classifications within BS 8214:2016 range from 20 minutes to 2 hours. 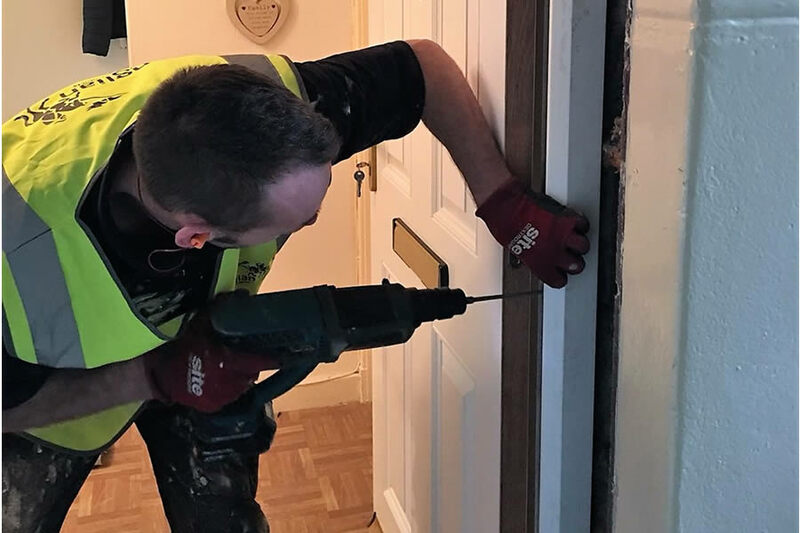 Timber based door-sets should be tested to BS 476 Part 22. Special installation materials must be used including intumescent sealant and fire rated material. There are UKAS accredited third party certification schemes available for installation companies. Warrington Certification are a world leader in providing certification in support of fire safety. The FIRAS scheme includes Certificate of Conformity for each installation. We are a certified FIRAS installer. 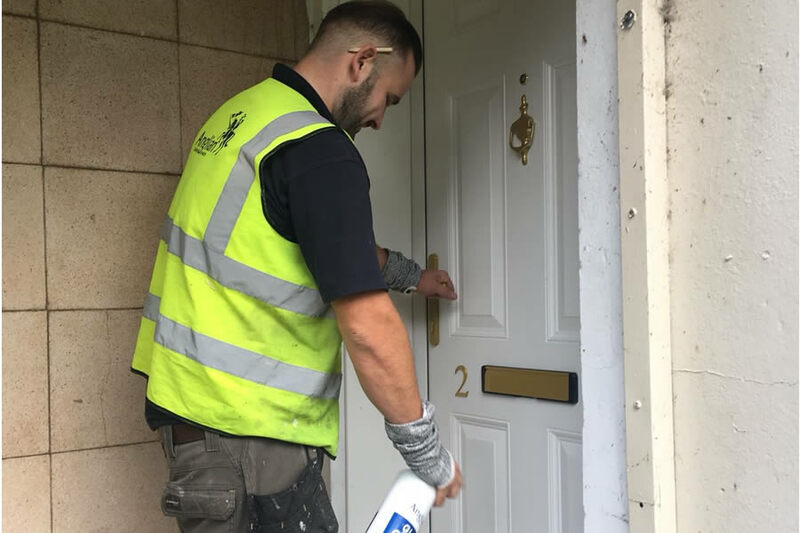 We have installed thousands of fire doors for social housing clients. We have full national coverage and resources available to deliver your fire door installation project.